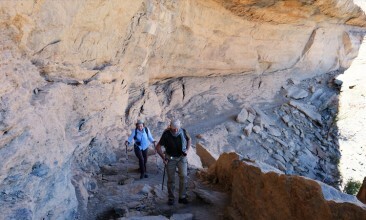 The hike downhill to the village is steep and narrow in parts and thus not advised for those with a fear of heights but it is an extremely rewarding hike for those willing to undertake it. 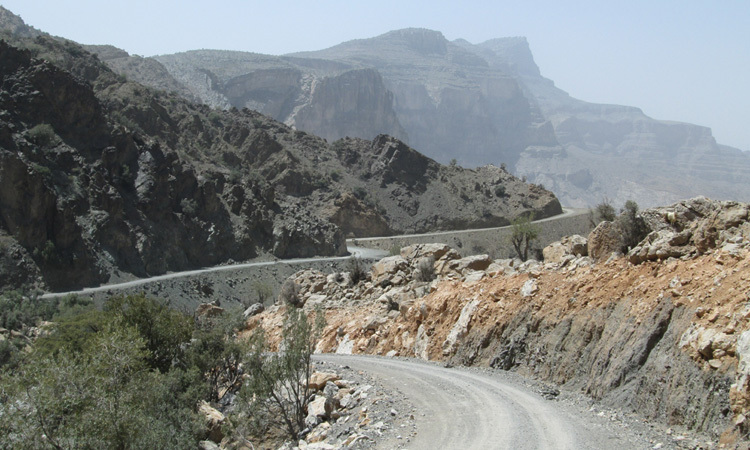 Once you reach the village, you will be stunned by the fantastic view of the Ghul recharge dam, and the valley of Al Hamra below. 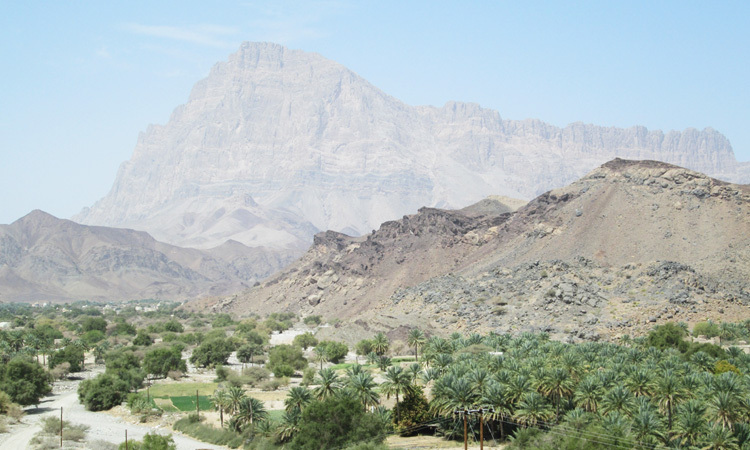 This mountain village sits on the Western Hajar mountains near the base of the Wadi Ghul. 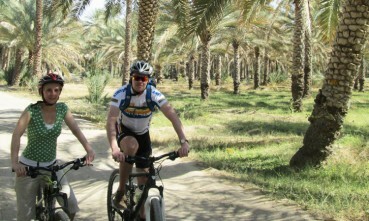 Once we reach you can take a break to enjoy a scrumptious picnic lunch, under the shade of the palm trees near the old mosque of the ancient Ghul Village. Afterward spend some time exploring the ruins to get a glimpse of what life was like, here, in the olden days. When you are ready the driver will pick the group up to take them to the deepest canyon of Oman- Wadi Nakhr. 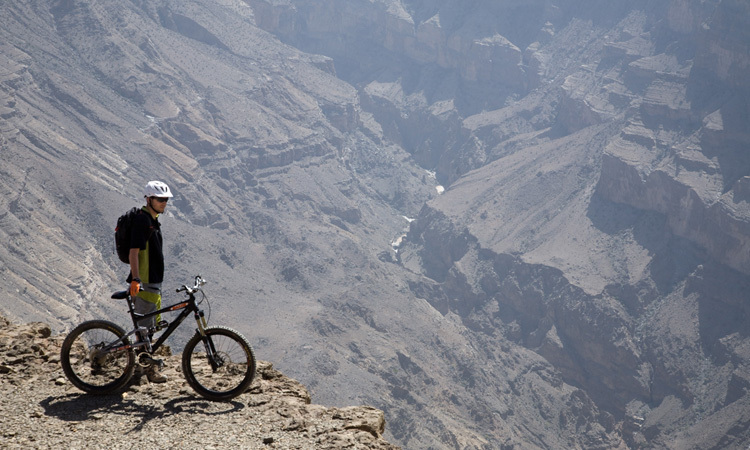 Contemplating the sheer magnitude of the colossus size of the Wadi and its view is sure to take your breath away. Afterward, you will be driven down to the town of Al Hamra where among other things you can learn about the Aflaj irrigation system, which has been placed on the UNESCO World Heritage List. We will also visit the Bait al Safah museum there as it showcases the history of the areas and what life was like for the locals. 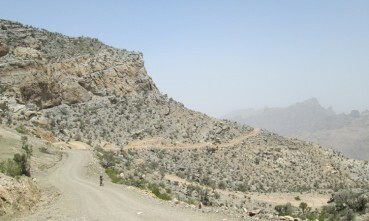 At the end of the tour, a car will take you back up to The View Oman. We meet up at Al Hamra and are driven to the eastern pass from where we start the Mountain Hiking Tour. The pass lies at an altitude of 2000m, and the hiking route here is fairly diverse, with the path shifting suddenly from wide roads to narrow walking paths. 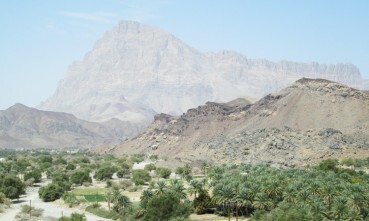 However the view remains throughout, with the fantastic visions of the mountain peaks that tower over their surroundings as the Jebel Shams can be seen rising in the backdrop.The path can be difficult at times and is not ideal for those who you are averse to heights as if you peer over the edge of the path at some spots you will find yourself looking straight down in the valley below the base of which lies almost a kilometre down.We will break for lunch at a picnic clearing right by the mountain path after which we will start our descent downhill at a leisurely pace.